The acronym BYOT stands for Bring Your Own Technology, and this practice is also referred to as BYOD – Bring Your Own Device. It is an initiative that is having an impact in business as well as education. From a user’s point of view, there are so many forms of technology devices that are capable of being customized to one’s needs and interests. As students utilize their personal technology devices, they can become more proficient with them than they do with school-owned devices. When they bring their own technology tools to school, they can learn new ways to use them for learning purposes as they collaborate and interact with their teachers and each other to research information, solve complex problems, create original products, and publish their work to show what they have learned. 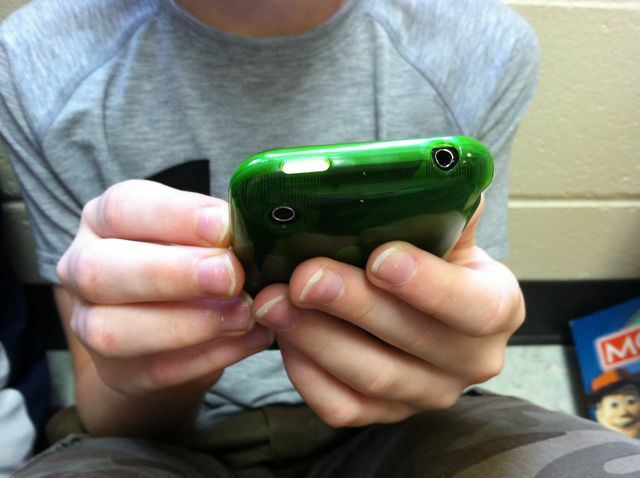 The educational benefits of BYOT are grounded in social learning theory. One of the key propositions within Vygotsky’s theory of social constructivism is that a zone of proximal development (ZPD) exists between what children are able to do individually and what they are able to do with the assistance of others (Vygotsky, 1978). As children interact with their peers and adults within that ZPD, using the tools of their culture, they begin to develop cognitively. Children bring their own understandings to the context of the classroom, and as they integrate these understandings with new experiences, they are able to construct new meanings. Therefore, a focus on guiding the child within the ZPD is not on the actual product or the place where the child ends up, but instead, on the processes involved in learning. Learning is fundamentally social (Wenger, 1996). Members of a community communicating about a common goal or working together to solve a problem are operating within the very core of learning, and this social interaction is what drives that learning process. According to Wenger (1996), “There is no distinction between learning and social participation, and that is what makes learning possible, enduring, and meaningful” (p. 3). As people share common interests and begin to interact with each other, they often help each other solve problems by offering information and advice (Wenger, McDermott, & Snyder, 2002). They find value in working and learning together, and while they are exploring new ideas and shared understandings, they begin to develop new tools, procedures, and structures that help them to work together as a group. This community begins to encompass their feelings of satisfaction as they contribute to the collective identity of the group and to its common body of knowledge. Wenger & Lave (1991) referred to this group of learners as a community of practice. The interplay of technology and community can lead to a virtual community of practice that Wenger, White, & Smith (2009) described as a digital habitat. Technology in such a community helps learners to interact with each other meaningfully and to collaboratively develop new understandings. Some of the methods of online collaboration used by virtual communities of practice include the following tools: (1) blogs; (2) wikis; (3) podcasts; and (4) computer simulations. Wenger et al. (2009) noted that as these tools become easier to use through experience and technological advances, then more members can participate in the formation of their online learning community. This blog is called the BYOT Network because through our networking with our technology tools that we experience new ideas, form communities, and collaborate to design solutions to problems. In this blog, I will discuss the issues related to learning in a connected network that is facilitated by the tools of our digital culture – our personal technology devices. I will also offer advice and support to professionals interested in learning more about how to help students use their own technology to support their learning. Lave, J. & Wenger, E. (1991). Situated learning. Legitimate peripheral participation. Cambridge, England: Cambridge University Press. Wenger, E. (1996). Communities of practice: The social fabric of a learning organization. The Healthcare Forum Journal, 39(4), 20. Retrieved February 10, 2011, from Research Library. (Document ID: 9930043). Wenger, E, McDermott, R. & Snyder, W. (2002) Cultivating communities of practice: A guide to managing knowledge. Boston, MA: Harvard Business School Press. Wenger, E., White, N. & Smith, J. D. (2009) Digital habitats: Stewarding technology for communities. Portland, OR: CPsquare.